Anyone have any idea when #4 is supposed to come out? I’m not 100% sure on this but wasn’t it supposed to be released this past Wednesday? 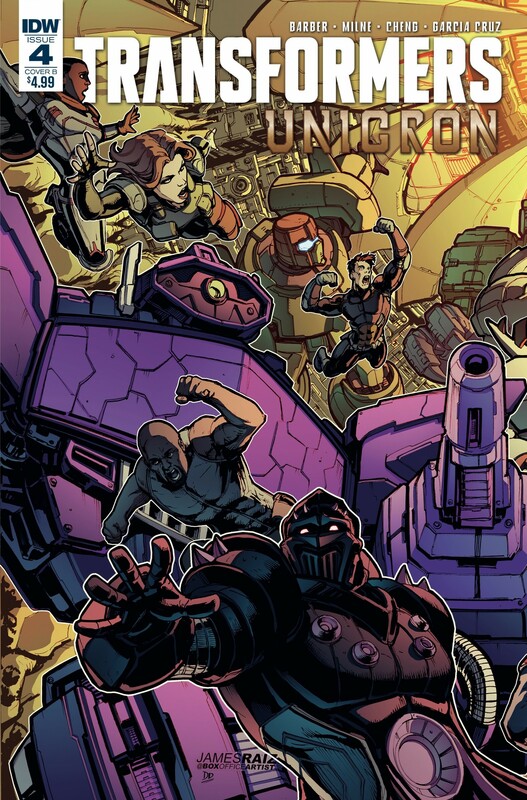 Stormshot_Prime wrote: Anyone have any idea when #4 is supposed to come out? I’m not 100% sure on this but wasn’t it supposed to be released this past Wednesday? Supposed to come out and IDW schedule are mutually exclusive. 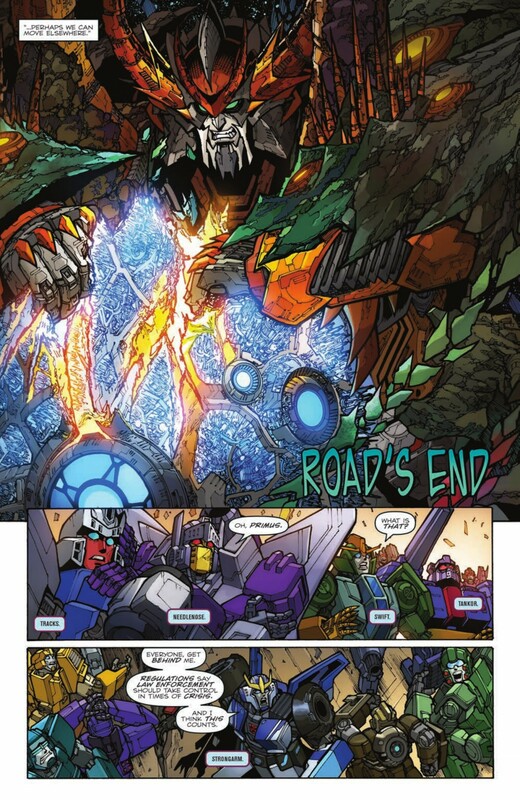 Current forecast is to expect cloudy with a chance of deathbringers by September 5th, along with Optimus Prime and Lost Light. Urrrggghh. 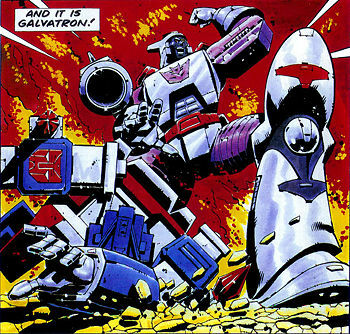 I've had a think on it, and have come to a conclusion: I really dislike the "evolved" (my term, not the book's) look of the Maximals and Monstructor. I think the characters are distinct enough to look menacing on their own, but the upgrade or whatever makes them look like boring, nonsense, incompetent generic alien things from a run-of-the-mill summertime scifi movie. Edit for clarity: the objective quality of the work portraying them is outstanding, it is the concept of the designs that I find bland. 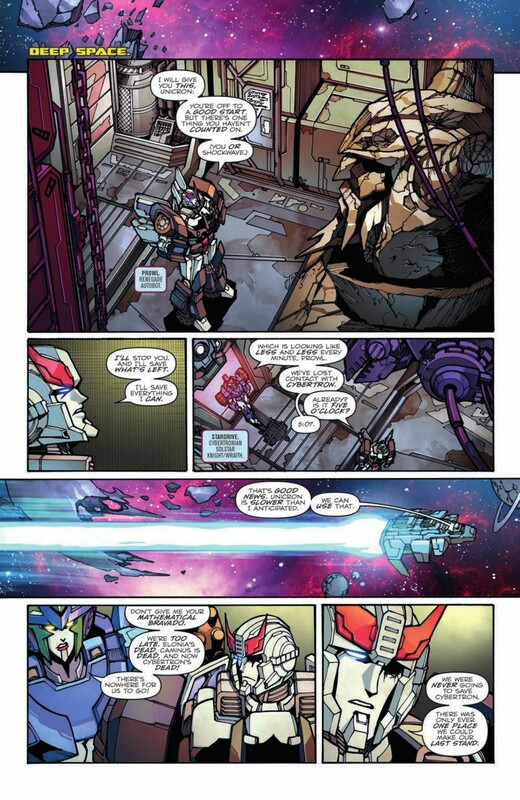 And finally, once more thanks to iTunes, we have another short preview for a book due out next week from IDW Publishing, as the mini series that will end it all bumps over the mid point issue - it's Transformers: Unicron #4! 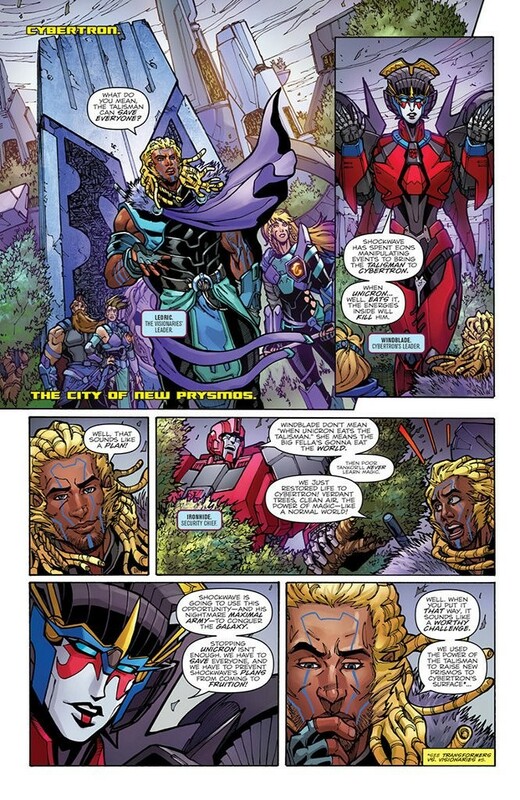 Check out the three pages mirrored below, and head back to Seibertron.com next Wednesday for reviews, discussion, and more. Is it just me, or do a lot of artists have a hard time drawing Windblade's face without making it look stretched out and weird? Lore Keeper wrote: Is it just me, or do a lot of artists have a hard time drawing Windblade's face without making it look stretched out and weird? Finally, the real hero this universe is here - Baron Ironblood!!! I would not be surprised if iTunes, Comixology, or somewhere else has end of month placeholder dates. I'd rather see these being released on a more spread out schedule, but on the other hand this does save trips to the shop! 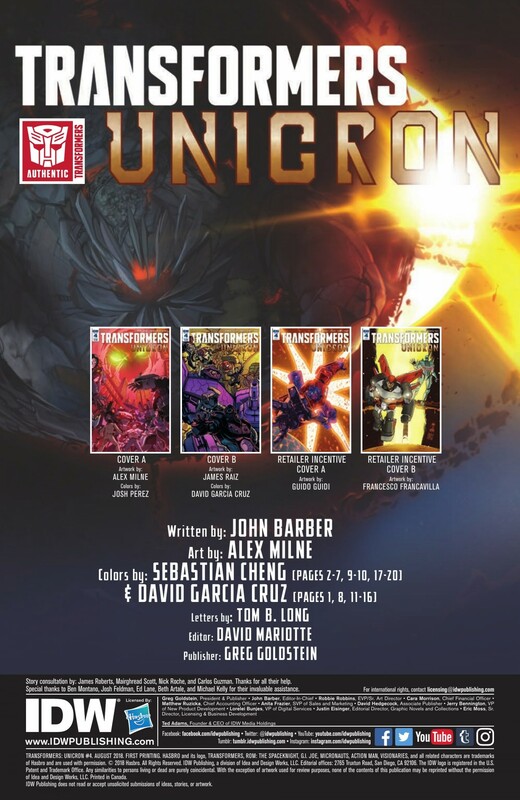 Thanks to online comics resource Graphic Policy, we have the last of the three previews for this week's releases from IDW Publishing - Transformers: Unicron #4! 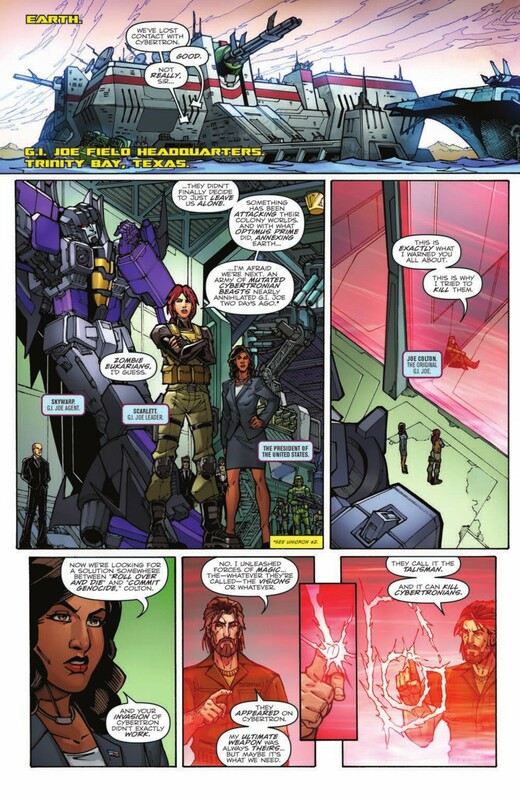 The miniseries bumps over the mid way hurdle, and carries on destroying the entire universe as we know it, so check out the full preview below, and join us in the Energon Pub for a discussion, review, and more once the book is released. NOTE: There is a major character moment happening in the last page of the preview, which we are not mirroring below to avoid spoilers. You can still see it at the link above, or wait for the issue's release. Well I followed the link: now I am sad. Why do I get the feeling the talisman will work but because unicron isn't sentient like before the poison would take a very long time hence why he goes after earth. This comes out tomorrow right? ZeroWolf wrote: This comes out tomorrow right? Big Grim wrote: Gods, that character moment! Having re-read their Spotlight about 8 days ago (had no idea this was coming! ), man, it works. I wish it didn't but it does. Did tracks also die? Blur grabs him and then what? Randomhero wrote: Did tracks also die? Blur grabs him and then what? It is very ambiguous isn't it really. I guess we’ll find out tonight or tomorrow depending on when read. Really? Will dig that out and read it! 4,835 pages were recently viewed by 542 unique visitors. This page was viewed 1 times on Wednesday, April 24th 2019 6:57am CDT. © 2019 Seibertron, Inc. DBA Seibertron.com. All Rights Reserved. Established June 2000. Seibertron.com is owned by Ryan Yzquierdo.